We’re looking for the ultimate vehicle to transport a family and all its luggage/lifestyle gear in comfort both on- or off-road. 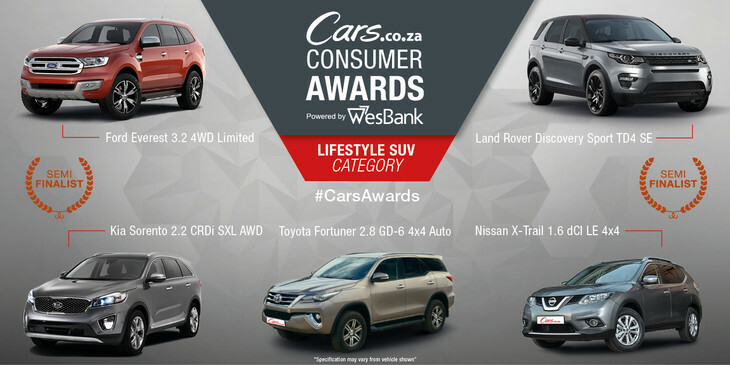 These are the semi-finalists in the Lifestyle SUV category of the Cars.co.za Consumer Awards – powered by WesBank! 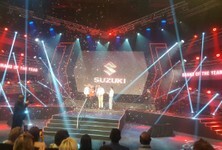 The second annual Cars.co.za Consumer Awards – now powered by WesBank, is underway and the 65 semi-finalists across 13 categories have been chosen. 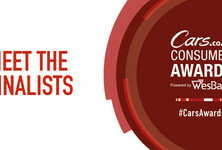 Make sure you visit the Cars.co.za Consumer Awards – powered by WesBank website for all the vehicle and category information and also be sure to follow us on Twitter (@CarsSouthAfrica), Facebook (CarsSA) and Instagram (carssouthafrica) for the latest updates. 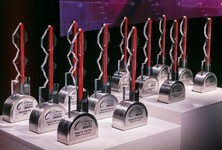 The Cars.co.za Ownership Satisfaction Survey, in partnership with leading data specialists, Lightstone Consumer, forms an integral part of the awards programme, with the survey accounting for 50% of the final result in each category. The brand-specific data incorporates feedback from thousands of South African new vehicle owners, based on their experiences of their vehicles (must be less than 5 years old and serviced through franchised outlets). Have your say and complete the Cars.co.za Ownership Satisfaction Survey now! 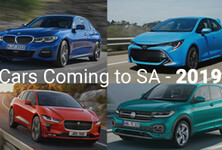 Vehicles that were considered in this category need to offer a measure of all-wheel drive ability, but, in selecting the 5 finalists the Cars.co.za editorial team placed an emphasis on practicality, comfort and long-distance cruising. 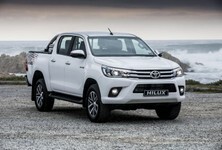 For a car to be considered in this category, the vehicle's listed price must be between R500 000 and R750 000 at the time of semi-finalist voting (September 1, 2016), including the cost of all necessary optional extras. It needs to feature the following: ESP (electronic stability control – if not fitted as standard, the cost of this feature, along with all other required extras, must not push the price over R750 000); a minimum of 6 airbags (if not fitted as standard, the cost of these items, along with all other required extras, must not push the price over R750 000); split/fold rear seats must be fitted and it must have a minimum ground clearance (a minimum manufacturer-supplied ground clearance figure of 180 mm) and all-wheel drive (although extreme off-roading is not a priority, the ability to traverse rougher terrain will be an advantage). Land Rover’s Discovery Sport’s found immediate favour in the South African market and was our Leisure Vehicle champion last year. Rightly so. It borrows styling cues from the smash-hit Evoque and Range Rover Sport, offers a spacious, luxurious cabin with seven seats. This year it faces tough new challengers… This Discovery Sport TD4 is powered by the brand’s new 2,0-litre four-cylinder turbodiesel engine that delivers 132 kW and 430 Nm of torque, the latter from a low 1 750 to 2 500 rpm. Interestingly, it is mated with a nine-speed automatic transmission and channels power to all four wheels. Ford’s Everest was one of those vehicles that simply had to happen. The success of the current-generation Ranger pick-up, as well as South Africans’ love affair with large, rugged SUVs were good indicators, and Ford has served up exactly what they’ve been asking for… a macho and versatile machine that can tackle the rough, but also play it smooth. The 3.2-litre five-cylinder turbodiesel from the Ranger does duty in the Everest, but it has received some efficiency upgrades. Power is rated at 147 kW and torque at 470 Nm, and that grunt reaches all four wheels through a six-speed automatic gearbox. It’s quite a heavy vehicle, however, so the Everest is best for smooth and steady progress, as opposed to being hurried along. Korean brand Kia takes a rather different approach to the Lifestyle SUV segment by prioritising comfort features, premium finishes and on-road refinement, as opposed to rugged off-road ability. In theory, this makes a lot more sense, seeing as road users tend to spend more than 90% of their time driving on tarmac. The 2.2-litre turbodiesel engine that powers this flagship Sorento delivers 147 kW and a lofty 440 Nm of torque. It is certainly the engine of choice in the Sorento range, delivering strong overtaking acceleration, even when fully loaded and when travelling at altitude. Kia claims a 0-100 kph time of 9.3 seconds, easily among the fastest of the large seven seaters. 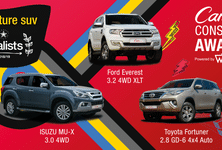 The Toyota Fortuner is one of the country’s favourite vehicles. The new model continues its predecessor’s winning recipe of ruggedness and versatility, but adds a generous helping of sophistication, style, refinement and technology to the mix. owering this flagship Fortuner is the marque’s brand new 2.8-litre turbodiesel engine that develops 130 kW and 450 Nm of torque in this (6-speed automatic) application. It’s a very refined unit that doesn’t mind revving hard, and delivers its strong power in a sustained and fuss-free manner. It endows the Fortuner with a brisk turn of speed. A 0-100 kph time of 10.8 seconds is not to be sniffed at for a vehicle such as this, but most impressive is the refinement. The Nissan X-Trail is a popular choice in South Africa and offers a great mix of value-for-money, spaciousness, quality and all-road ability. In this category the relatively new 1.6 dCi 4x4 LE derivative is up against some pretty stiff competition, but it has some talents of its own. For one, it is by far the most affordable vehicle here, yet it delivers a strong showing across the board. The 1.6-litre turbodiesel engine that powers this model delivers 96 kW and 320 Nm of torque. These figures won’t frighten its rivals in this Awards category, but keep in mind that the X-Trail is smaller and lighter.